Very Happy minion — last donation was today. About $2900 to go. A big Thank You! to Robert Morrison, Russell Gartz, Ed Kratz, and lots of other Critterfolk for their contributions! Critters is entirely funded by donations from Critterfolk like you, so yours is most appreciated. Click here to make the minions happy. Every dollar helps. Thanks for your support! Yes, 23 years ago Critters was born. Wow! Thanks so much to all of you, who've made it such a resounding success! Check out Books by Critters for books by your fellow Critterfolk, as well as my list of recommended books for writers. P&E Has a New Caretaker! I'm very happy to announce that P&E has been handed off to a new caretaker! Check out the site for news and such. Hurrah! Free web sites for authors (and others) are available at www.nyx.net. ReAnimus Press is pleased to announce the acquisition of the legendary Advent Publishers! Advent is now a subsidiary of ReAnimus Press, and we will continue to publish Advent's titles under the Advent name. Advent was founded in 1956 by Earl Kemp and others, and has published the likes of James Blish, Hal Clement, Robert Heinlein, Damon Knight, E.E. "Doc" Smith, and many others. 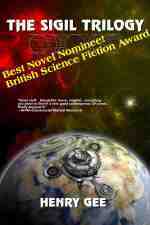 Advent's high quality titles have won and been finalists for several Hugo Awards, such as The Encyclopedia of Science Fiction and Fantasy and Heinlein's Children. Watch this space for ebook and print editions of all of Advent's current titles! I'm switching the connection over to a new, shiny 10X faster network because of all the load. There might be bits of downtime as your boxes learn new addresses and things. Should be brief. Let me know of any prolonged outages you see. With the very sad passing of Dave Kuzminski, who ran P&E, I've taken over the P&E duties. Lots of what I hope are improvements; check it out at pred-ed.com. Looking for something to do? 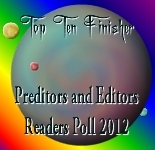 P&E poll volunteer votemaster, founder of the world's first Internet service provider, a guy who writes stuff you might enjoy, founder of Critters Workshop (with workshops for everything creative), the Black Holes writers response time tracker, ReAnimus Press, and other stuff. Very Happy minion — last donation was today. About $2500 to go. A big Thank You! to Naftali Deitsch, Gina Love, Charlotte Babb, and lots of other Critterfolk for their contributions!